Piled structures axial load capacity is due to skin friction and end bearing, while its lateral load capacity is due to lateral earth pressure and end bearing friction. 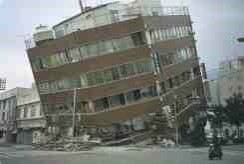 If the soils around the pile liquefy then all of its lateral load capacity could be lost and the structure topples over. If the piles axial load capacity is lost due to liquefaction, then the structure will sink. If the soil subsides due to shaking it will place negative skin forces on the pile which may exceed its capacity. 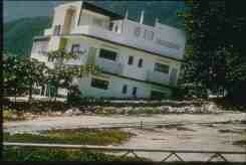 Liquefaction causes lateral spreading of the soil and destroys pile groups, dams and embankments. 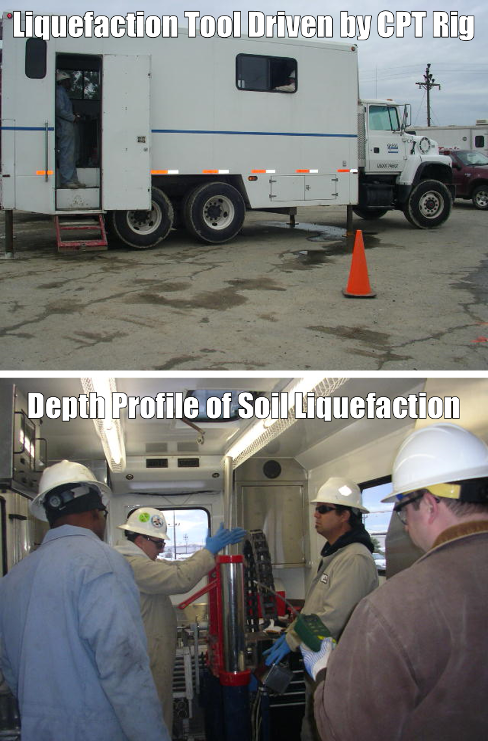 Current methods for evaluating the liquefaction potential of soils consist of a combination of laboratory tests and indirect empirical in situ tests based on the resistance to driving using the Standard Penetration Test (SPT) and/or the Cone Penetration Test (CPT). The cone penetration resistance is empirically correlated to the observed occurrence or non-occurrence of liquefaction of sites during past earthquake events. Such an empirical procedure based on anecdotal evidence is not appropriate for scientifically quantifying soil liquefaction potential nor is it able to be used to determine electro-osmosis applicability to soil liquefaction prevention. GeoSierra has developed a direct in situ tool for determining the liquefaction potential of a saturated soil by a direct-push probe, much like a CPT, but with an expanding/contracting set of bladders. The bladders impose under zero volume change a cyclic shear stress reversal on a body of soil in situ similar to that experienced in an earthquake, and the liquefaction potential of the soil can be quantified from the subsequent measurement of pore water pressure response. 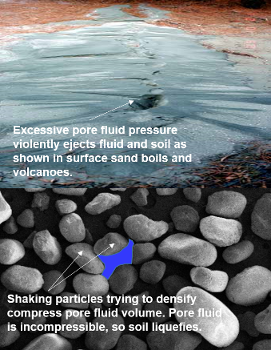 A pore water pressure increase during cyclic shear stress reversals indicates a contractive soil, which has the potential to liquefy. The tool can also quantify the potential of electro-osmosis in preventing soil liquefaction by energizing electrodes within the device during the imposed cyclic shear stress reversals on the in situ soil. View the video on our Soil Liquefaction Assessment Tool. The soil liquefaction tool is essential for quantifying the liquefaction potential of sensitive soils and especially pumicious volcanic soils. The stress state imposed on the soil by the tool mimics the same state as an upward propagating shear wave during an earthquake event. 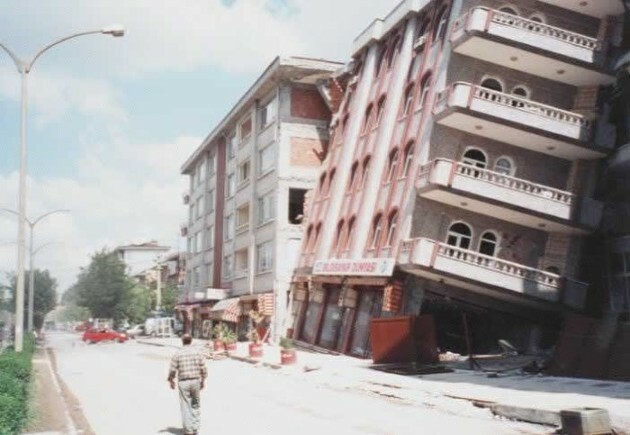 The current state of practise of empirical measurement of liquefaction potential is not acceptable considering the importance and widespread effect earthquake induced liquefaction has on damage to structures and loss of human life. Electro-osmosis involves the application of a d-c current between electrodes inserted in the saturated soil, which gives rise to pore fluid movement in negatively charged soils from the anode electrodes towards the cathode electrodes and thus modifies the soil pore water pressure. 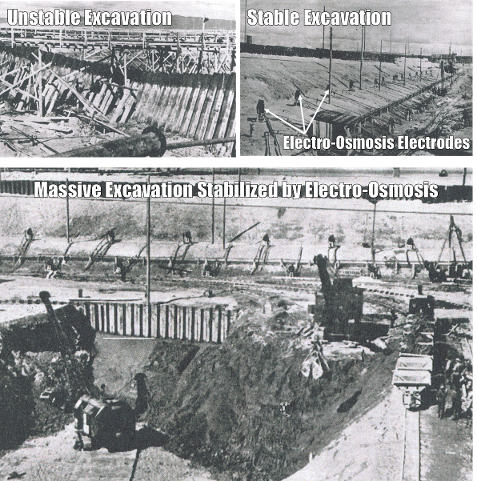 Electro-osmosis has been used for: 1) improving excavation stability; 2) decreasing pile driving resistance; 3) increasing pile strength; 4) stabilizing soils; 5) dewatering of sludge; 6) reducing water intake into petroleum recovery wells, 6) grouting of low permeable soils and; 7) removing contaminants from low permeable soils. Electro-osmosis has not been used extensively due to the high cost of maintaining the d-c potential over long periods of time and the drying out and chemical reactions that occur if the system is activated for long periods of time. For short-term stabilization by pore water pressure reduction, electro-osmosis is very effective in certain soil types such as fine sands, silty sands and silts. 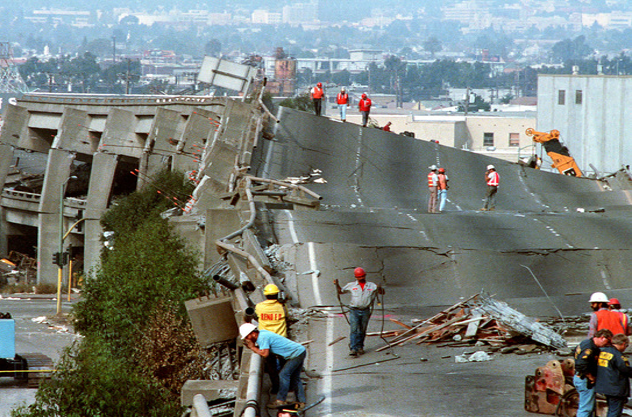 GeoSierra has been researching and developing the technologies to utilize electro-osmosis to prevent damage to existing structures during an earthquake event. 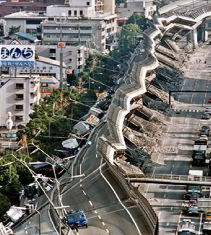 One of the most destructive effects of the stress waves generated during a seismic event results from their induced shaking or vibratory shearing of saturated, loose fine sand or silty sand, causing a phenomenon known as liquefaction. When loose sands and silts are subjected to repeated shear strain reversals, the volume of the soil contracts and results in an immediate rise in the pore water pressure within the soil. If the pore water pressure rises sufficiently high, then the effective stress reduces to zero, and the soil mass will lose all shear strength. Such temporary loss of shear strength can have a catastrophic effect on earthworks or structures founded on these deposits. Major landslides, settling or tilting of buildings and bridges and instability of dams or tailings ponds have all been observed in recent years and efforts have been directed to prevent or reduce such damage. View our in situ Liquefaction Assessment Tool and our Earthquake Liquefaction Prevention and Seismic Base Isolation videos. To view the ASCE paper of Hocking & Hebner (2006) go to the ASCE's library website at ASCE or view the Alaskan Way Viaduct. 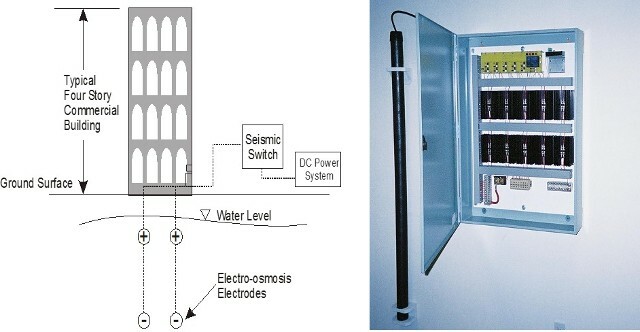 The electro-osmosis technology involves reducing the pore water pressure build up in soils during an earthquake event by activating an electro-osmotic gradient away from the foundation of the structure. This negates the impact of the earthquake shaking and by reducing the soil pore water pressure maintains the soil shear strength and foundation structural stability. Soil liquefaction prevention by electro-osmosis can be retrofitted to protect existing structures with minimal disruption or disturbance to the structure. 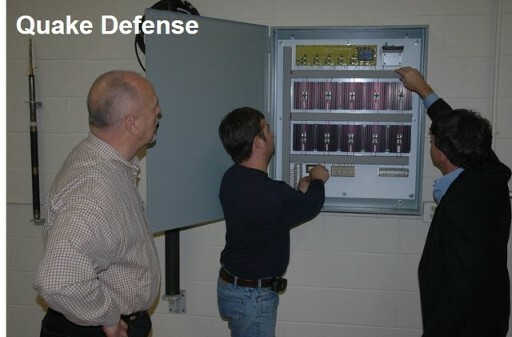 A seismic switch monitors local seismic precursor events, such as early arrival ground motion, and electrically energizes the electrodes beneath the structure to move the groundwater by electro-osmosis away from the foundation of the structure and thus maintain structural stability of the foundation by preventing liquefaction of the sub-base soils during an earthquake event. The energized electrodes are completely safe and there is no potential for any electrical shock to persons or the structure. The electro-osmosis system can be activated by high rainfall events, pore fluid pressure measurement, accelerometer readings, etc. so as to mitigate slope failures, tailings dam and dam failures. In these cases, the system may be powered up for hours or days with a backup generator, to provide warning and time to excavate from the dangerous incipient failure. 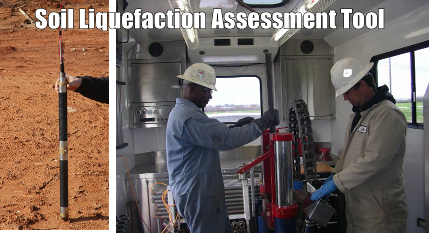 Videos Earthquake Liquefaction Prevention, Liquefaction Assessment Tool and Seismic Base Isolation. 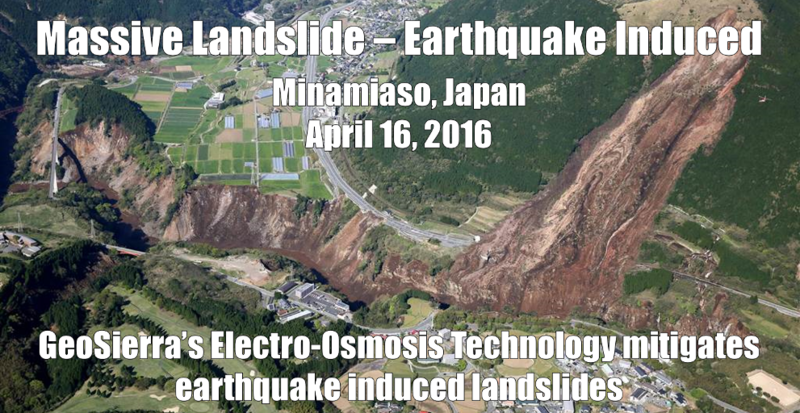 GeoSierra's Electro-Osmosis Technology can mitigate earthquake induced landslides, high rainfall induced slope failures, earthquake induced liquefaction of tailings dams, etc. In clean sands especially of high permeability, the electro-osmosis system will not be effective in preventing liquefaction. 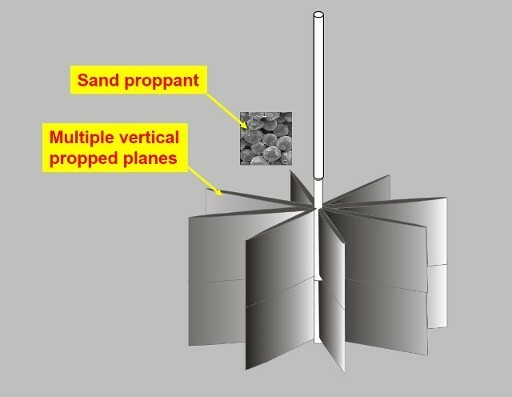 In these soil types installation of vertical wells with Azi-Frac™ multiple azimuth high permeable wings will relieve pore pressure build up during an earthquake event. The wings are constructed by the injection of a viscous food grade gel carrying a highly permeable 12/20 sand proppant. At shallow depth the wings extend approximately 60' laterally from the vertical wellbore. Due to the large effective drainage radius and the system's virtual independence on vertical permeability, Azi-Frac wells are a viable system to retrofit an existing structure. The system is passive without the need for any pumps. 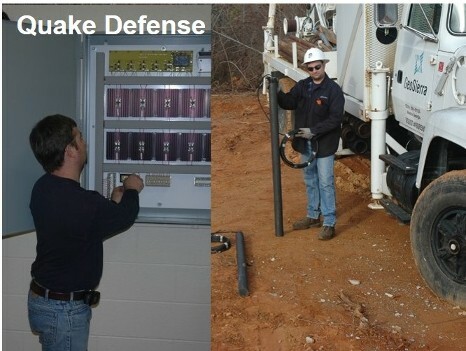 Azi-Frac wells can be installed beneath and around existing structures and utilities, and thus are a viable retrofit system for existing structures, especialy due to their large effective drainage radius, resulting in large well spacings and a minimum number of wells to provide an effective liquefaction defense. Dependent on the soil's horizontal permeability, four (4) Azi-Frac wells per hectare would be sufficient to stabilize a formation and prevent liquefaction during an earthquake event. See the below referenced SPE paper of the field trials of the vertical Azi-Frac system at shallow depth, and the active resistivity imaging of the installed high permeable wings. Azi-Frac wells can be installed beneath and around existing structures and utilities, and thus are a viable retrofit system for existing structures. Depending on the soil's horizontal permeability, four (4) Azi-Frac wells per hectare would be sufficient to stabilize a formation and prevent liquefaction during even a major earthquake event. The system is passive without the need for any pumps.